We have always joked that Chris has to be the alpha in the house. The truth is, cats are not like dogs, there is no “alpha” cat in the wild, at least not among African Wildcats, the species that evolved into the modern domestic house cat. African Wildcats are loners, especially the males. Each male has a single territory that does not overlap another male’s territory but may overlap several females’ territories. This may cause competition for mating purposes but there is no group that requires a leader. About 12,000 years ago in the Middle East, humans started to give up their hunter-gatherer lifestyle and became farmers. This, of course, was a very gradual process but eventually there were communities of people growing wheat and other grains. They stored these grains in large bins that attracted rodents. The increase in rodents, in turn, attracted cats. The humans not only tolerated the cats, they welcomed them. Cats were an almost perfect solution to the rodent problem but having several cats in the same area was a bit unnatural. I don’t know how they got along back then but over time they evolved to tolerate each other as well as humans. Our domestic cats today have never developed the hierarchy or cooperation found in a pack of wolves, but they can live together in large groups that are not related without killing each other. Some even develop friendships with each other. I have noticed that male cats seem to get along better than female cats but that is the opposite of what happens between wild cats. I have also noticed that a lot of fighting happens between periods of calm. Understanding what drives social behavior in cats is a complicated issue that I don’t come close to understanding. Chris’s behavior is a good example. He is always trying to be the dominant, or alpha, cat in the house, but since cats don’t have alphas, I’m not sure what he is thinking. Frankie does not let Chris dominate him, which is sometimes a source of tension. Puck is the submissive one and I sometimes feel bad because Frankie is always chasing him around the house in what may, or may not, be play. Chris is different. He will show Puck plenty of affection most of the time but occasionally he will grab the back of his neck and hold him down. I try to break it up but Chris won’t let go. I have to pry his mouth open. On several occasions, I have even seen him standing over Puck, with two legs on the left and two on the right, dragging him by the neck across the floor. A short time after that he will lie down next to Puck and wash his ears. I have heard that pinching the scruff of a cat’s neck will produce a calming affect. Perhaps it is necessary as a kitten so the mother can carry her young without them struggling and it just remains through adulthood. I’m not sure why Chris would want to calm Puck down. He is already submissive to Chris. Perhaps it is just a friendly reminder that Chris is the boss. What do you think? Do your cats do this? 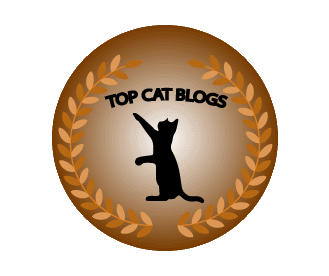 This entry was posted in Uncategorized and tagged Alpha, biting, Cats, domestic, dominance, history, scruff, wild on August 4, 2015 by Charles Huss. 🙀 OH my FLEAS! I don’t know what he could be doing!! MOL!😸 That’s why he’s such a pawsome man – kat!! The girls take turns at being bossy..seems to be age related here..the eldest being the bossiest..but come full moon the gloves are off..and it’s every cat for themselves..which confuses the dogs as they are pack driven :). That’s interesting behavior. Binga always beats up on Boodie, the submissive cat here. Sparkle and I both smacked her back when she has smacked us, so she knows she can’t pull the same tricks with us that she does with Boodie. When we had girls, Chris would dominate everyone but Princess and Princess would dominate everyone but Abbey who was submissive to everyone but Princess. It was a strange pecking order. we used to have 4 adults cats (3 males and 1 female) who I’ll call M1, M2, M3 and F for simplicity’s sake ^^ M1 got along fine with M2 but couldn’t stand M3 or F. M2 got along fine with both M1 and M3 but couldn’t stand F. M3 got along fine with M2, and was non-commital about the others. F preferred to be on her own and didn’t really like any of the males (everyone is neutered). Since then, M2 and F died. So we had just M1 and M3 for 6 months who started to get along quite well. We’ve now introduced 2 kittens (KM and KF) . . . it’s going to be interesting to see what happens because, for the moment, neither adult male will stay in the same room as the kittens lol. Why can’t they just all get along? When it was Chris, Tigger and Puck, everyone got along fine here but when Tigger died and Frankie joined the crew there has been more turmoil. I know it sounds mean but Chris loves Puck. No thanks. One alpha is enough but it is interesting to learn that Chris is not the only cat that does this. I’ve noticed that Sammie will hold Frodo down by the neck after a bit of wrestling. It doesn’t seem to bother him though, as soon as she looses him, he bounces after her and jumps on her in play. Puck does not seem to be bothered by it but I worry about him because I always come home to little chunks of black and gold hair around the house.